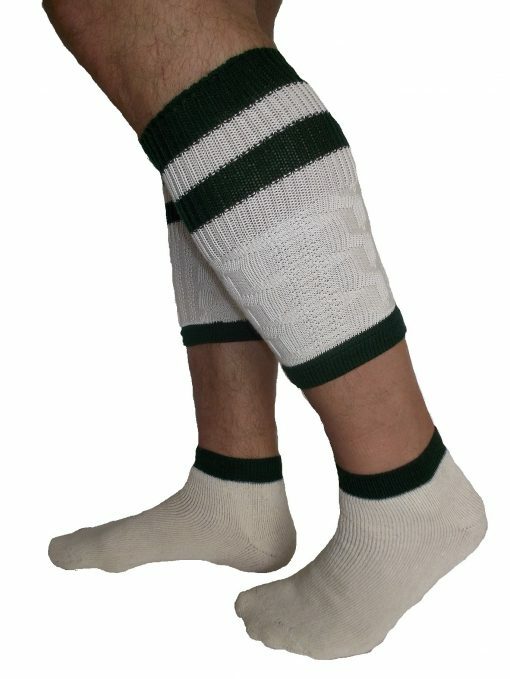 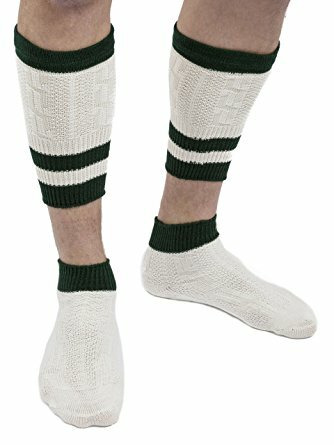 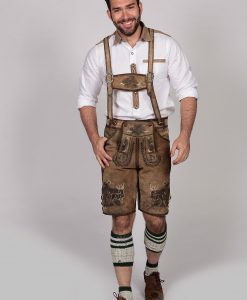 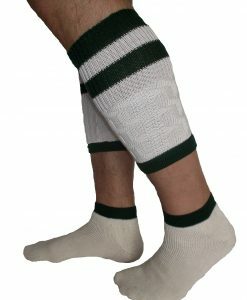 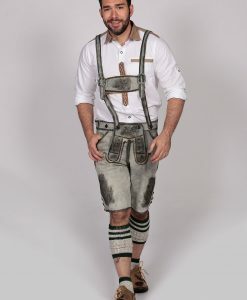 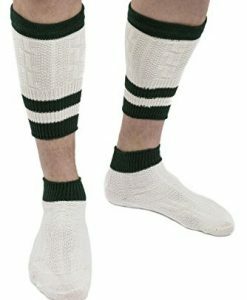 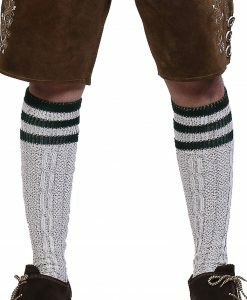 Traditionally worn with short lederhosen pants, these durable and sturdy Loferl Bavarian socks (white) come in two sets, the distinctive calf warmers, and ankle socks. Each pair features a beautifully knit design with different patterns at the back and the front area in (white and pine green). 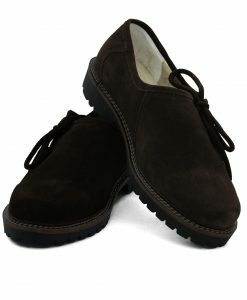 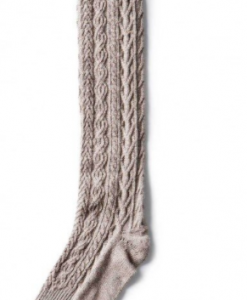 Made out of 100% wool/nylon, it offers a soft, comfortable feel. 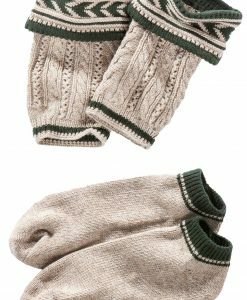 The calf warmer has cable-knit ribbing that ensures a perfect fit and an attractive fold over top edged and decorated in (pine green) patterns. 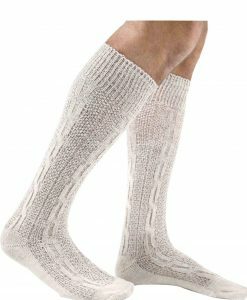 The calf warmer with cable pattern provides it with a wide, comfortable, and firm patterned cover. 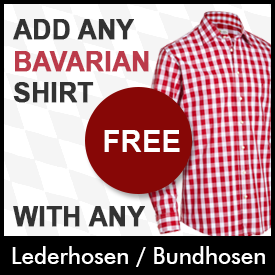 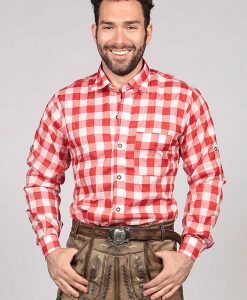 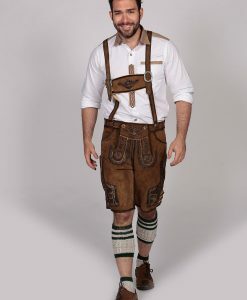 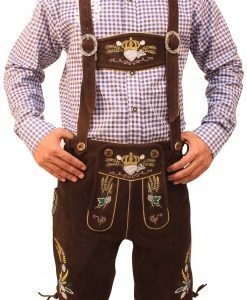 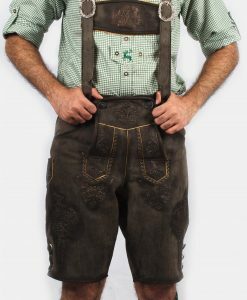 These details help to add an overall attractive impression when you pair these German Lederhosen socks with your lederhosen or bundhosen costume. 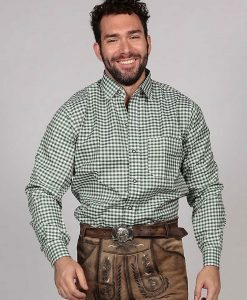 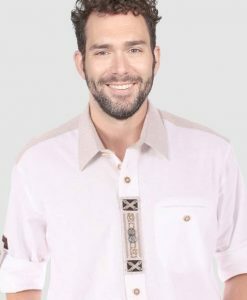 With this set in the classic traditional color scheme, men’s calf skin is strikingly highlighted, perfect for the Oktoberfest look!